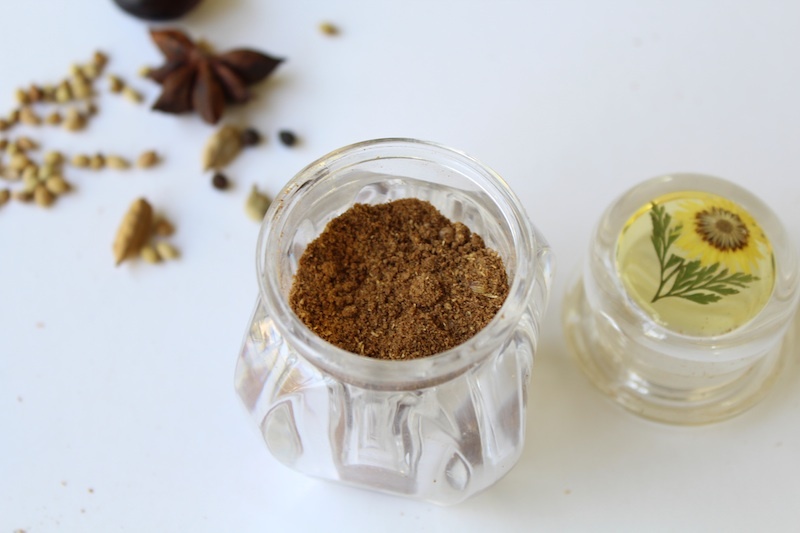 Today i am starting a series on basic recipes and the recipe for the day is Garam masala. Garam masala, commonly used in Indian cuisine, is a blend of various spices. When used in moderation it adds a lovely flavor to a lot of Indian gravies/curries. Every household in India has its own version of garam masala with different levels of spices. Garam Masala is very easy to make and can be stored for months together. Dry roast all the ingredients separately till you get a mild aroma. Once it is cool, grind it finely using a spice grinder.